Every year we open our doors to a group of graduates and give them the opportunity to write a thesis based on real business cases. You will be able to combine your theory with current business challenges and meet highly dedicated professionals within your area of study. Several of our previous Master Thesis Programme participants joined Coloplast permanently upon their graduation. Please read about the Master Thesis programme here or at Coloplast.com/career. Here you will also find a short description of the exciting projects we offer this year. During the interview process, we will determine which project is the best fit for your interest and background. 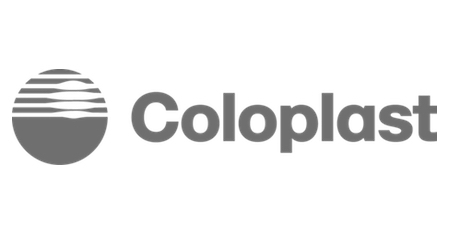 We typically define the exact scope of the project together with you based on your academic requirements, interests and skills, and relevance to Coloplast. At Coloplast, we believe curiosity is the key to success and innovation. Therefore, when selecting our participants, we will look for candidates who not only have an international outlook and outstanding academic achievement, but who are curious, proactive and ambitious. Strong analytical and strategical skills, as well as communication and stakeholder management, are also important. Depending on your research project, it may make sense for you to travel to conduct interviews with, for example, sales people, healthcare professionals, or even consumers or competitors. So a high level of maturity, good communication skills, and the ability to interact professionally with people in English is a huge plus. You will be representing Coloplast in your interactions with others – and with that trust comes responsibility. If that excites you, and you like to both be challenged yourself but also use your knowledge to challenge others, then apply now.